There were a lot of chase scenes in Mad Max: Fury Road. You could argue the entire movie is just one long chase sequence. And while the Tom Holkenborg’s score helped aid in the high-octane ferocity of the vehicular carnage, it was missing a certain madcap melody that can only be found in the best chase sequences. That zany music is, of course, “Yakety Sax,” which accompanied Benny Hill in his many—oh, let’s call them “hilarious” sped-up pursuits of women and other such unlucky persons. Luckily, one YouTube user has corrected this oversight, but added a dash of grit to the whole proceedings as well. 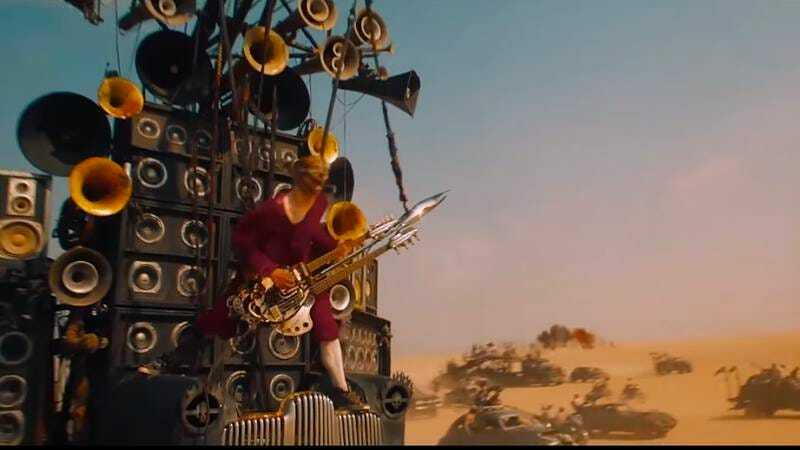 Camden Remington has created “Yakety Max,” which is footage from Mad Max: Fury Road recut to a heavy metal cover of “Yakety Sax.” With this new version, George Miller’s film finally gets the loony overtones it so desperately needed in its dystopian tale of savagery and insanity. The doomed future never seemed so full of potential for outdated comedy.